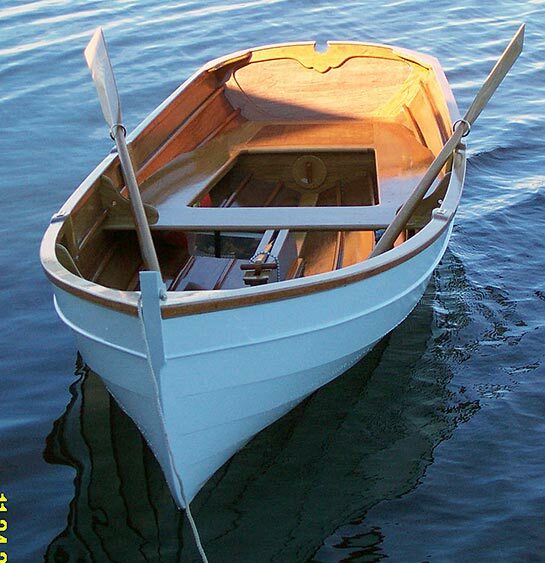 Fred Fisher, a retired cabinetmaker, finished this Arch Davis-design Penobscot 14 in November 2003. 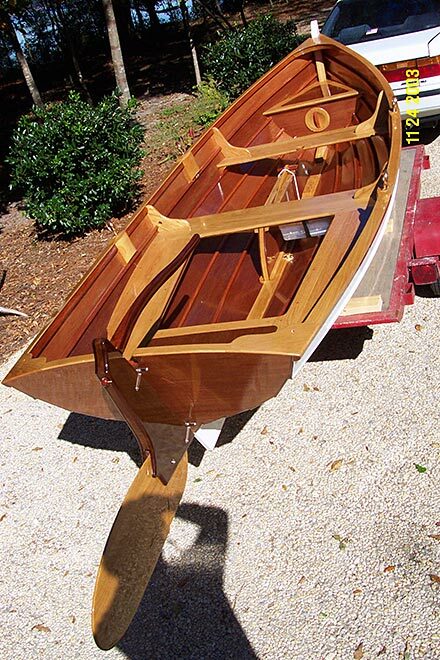 He planked the boat with 1/4" mahogany plywood with Spanish cedar stringers and trim. The rail cap, interior, and oars are white oak. The mast and spars are laminated Douglas fir. Fred uses his boat in Blackwater Bay, Florida.